​Megan Hooper is an HCPSA registered clinical psychologist who enjoys the intricacy and complexity of both clinical and organisational work. Organisationally she is a facilitator and consultant who delivers team and conflict resolution processes in addition to various learning solutions in client organisations. Clinically she sees a small number of private clients. Megan is a Professional Associate and part-time lecturer/facilitator on corporate specific programmes at the Gordon Institute of Business Science. She has been a Coach on various programmes since 2001. 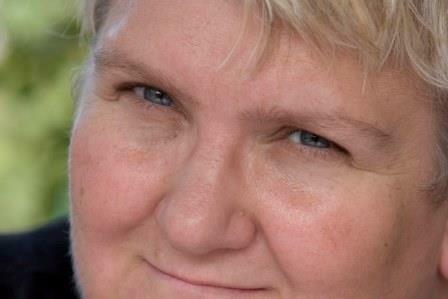 She works for a number of organisations in the corporate and NPO sector. Prior to her training as a clinical psychologist Megan worked in different organisations and roles, ranging from banking to sales management. Subsequent to her clinical training she worked as the Head of Psychology in a private tertiary education team, and as a lecturer and supervisor in the Wits Psychology department for three years. At Wits she lectured and supervised students from undergraduate to Masters level. Megan has worked with a number of South African business schools since 1997. She has also held senior management roles. In her consulting role she has provided learning, service and change processes, team interventions and conflict resolution in a number of industries in the last 18 years. She has coached individuals from supervisory to executive levels. She maintains an interest in community based work and processes that deliver on South African transformation as a society. Megan has recently registed for a PhD at the UCT Graduate School of Business. Her topic is the experience of black women in senior roles in South Africa. Hooper, M. (2005). Conversations on creativity: innovation as a normal organisational competency. Management Today, 21(2), 39. Hooper, M. (2005) Revisiting the application of some theory in traumatology to organisations. People Dynamics, 23(4), 20. Ka Sigogo, T.N., Hooper, M., Long, C., Lykes, M.B., Wilson, K. & Zietkiewicz, E. (2004). Chasing rainbow notions: enacting community Psychology in the classroom and beyond in post-1994 South Africa. American Journal of Community Psychology, 33(1/2), 77-89. Hooper, M. (2004) Employee wellbeing: a hard issue. People Dynamics, 22(2), 8-9.